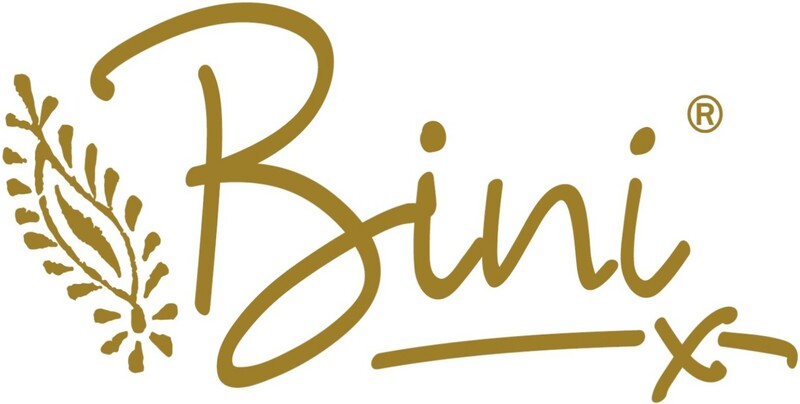 We pride ourselves to use the best fresh free range meat, vegetables and dairy products as well as authentic recipes using freshly ground hand blended spices that create a natural flavour and all from the Bini kitchen. cooked in a tomato masala and topped with fresh coriander. Suitable for vegans and gluten free. 375g. A traditional Gujarati savoury spiced rice dish, with sweet bursting peas, vegetables and freshly chopped coriander. Suitable for vegans and gluten free. 300g. A rich, intense spiced curry from the Gujarat region of India. Made with soft, melt in your mouth pieces of British shoulder of lamb, thinly cut strips of spinach & chopped fenugreek leaves. 375g. of chicken, cooked in a creamy masala sauce with ground almonds, yoghurt & fresh coriander. 357g. Free range Somerset chicken thigh meat cooked in a spiced masala sauce, with sweet caramelised onions & tomatoes topped with fresh coriander. 375g. spiced masala with freshly chopped coriander. It is a staple dish eaten in every Gujarati family home. 375g. Cubes of paneer cheese and sweet garden peas cooked in a spiced tomato, yoghurt, lemon & fresh coriander based sauce. A family favourite from the capital city of India. 375g. A traditional southern Indian potato curry, cooked in coconut oil, delicate spices, fresh curry leaves, tomato, coconut milk and topped with fresh coriander. Suitable for vegans. 375g.